Interested in becoming a sponsor at next year’s QuickBooks Connect? Register your interest here. A2X makes Amazon marketplace accounting easy, by automating the posting of Amazon sales and fees to QuickBooks and cloud accounting systems. A2X saves Amazon sellers and their accountants hours of time every month, and delivers reliable, accurate, reconciled Amazon financials. AbacusNext builds the most powerful solutions for the most demanding jobs. Since 1998, Ability Business has been providing wide variety of services – from custom application development and integrated websites to point of sale solutions, and products – QuickBooks Point of Sale, QuickBooks software, Ability Addons – all to help their clients run their businesses smoothly and efficiently. In addition we offer white label support services so ProAdvisors can focus on running their business as we support your customers. ADP® offers accounting professionals’ data insights and flexible partnership options to help increase revenue for your firm, along with anytime access to authorized client data and complimentary practice tools with our award-winning cloud solution Accountant ConnectSM. Be more to your clients. Get there with ADP. Learn more at adp.com/accountant. AP Intego is a full service commercial insurance agency, strategically partnering with the best small business service providers to deliver a personalized, seamless business insurance experience for customers. Tech is in our DNA, and we combine the licensing, sales, and service capabilities of a traditional agency with technology that offers simpler and more efficient quoting, purchasing, and billing solutions for our partners’ small business customers. CheckRun modernizes and more fully secures your QuickBooks Online check payments in just 5 minutes with stylized checks on preprinted and secure stock. CheckRun also provides anytime – anywhere approvals, Positive Pay, notifications, and more. Developed by AP Technology, the payments leader since 1989, processing $30 billion in payments annually. 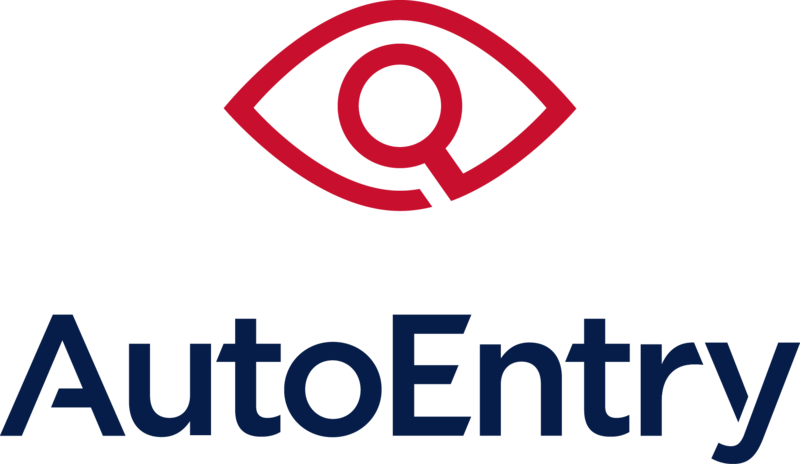 Autofy is powerful QuickBooks integration for your business. Integrate Salesforce, Shopify, Amazon and many other apps, to save you time and headaches. Eliminate data entry and errors by automating your business processes. Find out more at getautofy.com. Avalara helps businesses of all sizes achieve compliance with transactional taxes, including sales and use, VAT, excise, communications, and other tax types. The company delivers comprehensive, automated, cloud-based solutions that are designed to be fast, accurate, and easy to use. Learn more at avalara.com. B2BGateway offers EDI & API Connectivity solutions for QuickBooks users that facilitate the seamless exchange of all business documents such as purchase orders, invoices, inventory updates, and advanced shipping notices using any communication method and file type. B2BGateway’s solutions eliminate manual data entry errors that result in costly chargebacks. Providing accounts payable automation from purchase to payment across North America, Beanworks eliminates data entry, offers configurable workflows, and brings your team together online in the AP process. Featuring online approvals and instant invoice submission through mobile or desktop devices, Beanworks connects QuickBooks users for simple and delightful accounts payable. Bento for Business makes managing employee expenses ridiculously easy. Get your employees Bento cards you can control remotely, and streamline bookkeeping with real-time transaction reports, monthly statements and one-click QuickBooks sync. ProAdvisors, become a Bento Expense Expert (BEE) for personal training, referral bonus, and one portal to manage all clients! Bill.com is the leading business payments service with 3 million members processing over $52 billion per year in payment volume and helps save businesses more than 50% of the time spent on financial back-office operations. Bill.com also partners with four of the top 10 largest U.S. banks. BlueVine is a leading online provider of working capital financing to small businesses. We offer financing through our business line of credit or invoice factoring products. We believe in making business financing fast, simple, and transparent so business owners like you can spend your time growing your business, not managing your cash flow. BQE Software, the maker of BQE Core®, is trusted by more than 400,000 professionals worldwide. BQE Core uses automation and artificial intelligence to centralize and streamline the way accounting professionals and their clients enter and use information for business intelligence, time and expenses, billing, project management, and accounting. This gives them the speed and insight necessary to rapidly make informed decisions, increase productivity, and grow profits. Backed by award-winning specialists and featuring integrations with QuickBooks Online and MYOB AccountRight, Core is the complete solution for professional service firms looking to get ahead with the latest technology. Broadly’s customer engagement platform helps businesses manage leads, facilitate communication with modern consumers, and generate online reviews. Our mobile first approach enables owners and managers to run their businesses from anywhere in real-time, with consolidated and seamless communication. Thousands of local businesses depend on Broadly everyday. Canon U.S.A.’s extensive line of document scanners streamlines burdensome paper-based processes and enables businesses and organizations to achieve their goals by capturing, storing and sharing information. With our Canon scanners, businesses can improve costs and efficiencies, as well as document management and organization, security, and compliance. All of our scanners offer high image quality and maximum value. Stop by the Canon booth to learn more about how our document scanner solutions can help your business today. Chase for Business is the bank for business. We offer a complete suite of industry leading financial products and resources, backed by expert advice. Learn more at chase.com/forbusiness. For field service and construction companies who want to get rid of paper time sheets, ClockShark is the Mobile time tracking and scheduling app that’s both powerful and easy to use. ClockShark’s GPS mobile apps let you track time, schedule employees, view employee locations and categorize job costs in a central web-based dashboard. You can see everything in real time. ClockShark makes your payroll painless and accurate. It also makes getting schedules to employees in the field fast and easy. ClockShark integrates with QuickBooks Online and the Desktop versions of QuickBooks. CollBox is the easiest way to get paid on past-due invoices. Send accounts to the ideal collection agency from our vetted network in just 3 clicks. See what’s collectible, get a competitive rate and get paid instead of writing it off. Be the cash-flow superhero your client needs with CollBox. CorpNet.com is your trusted resource for Business Incorporation, LLC Filings, and Corporate Compliance Services in all 50 states! Through the CorpNet Partner Program, Accountants, CPAs, and QB ProAdvisors can now offer Incorporation, LLC Filings, and Corporate Compliance Services to their clients in any state. Learn more at corpnet.com. Intuit Field Service Management, powered by Corrigo, helps service & installation businesses get more work done and get paid faster. IFSM provides online work order creation, scheduling, dispatching, invoicing, mobile payment capture, and mobile communication. IFSM integrates with all versions of U.S. QuickBooks. Learn more at quickbooks.corrigo.com. The CPA.com core mission is to advance the technology ecosystem for the accounting profession, drive the transformation of practice areas, and lead technology research and innovation efforts for practitioners. A subsidiary of AICPA, CPA.com is also part of the Association of International Certified Professional Accountants, the world’s most influential organization representing the profession. Visit CPA.com to learn more. CXOSoft is the most intuitive cash flow forecasting tool for accountants, financial advisors and bookkeepers. CXOSoft allows you to dynamically adjust future invoices and expenses to help you visualize up to three cash flow possibilities with easy-to-create, adjust, and understand scenarios. 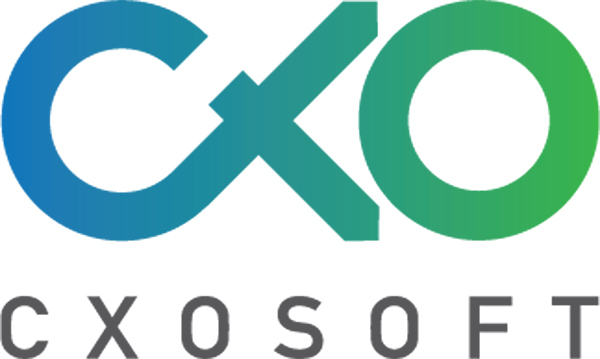 Start your free trial at ​cxosoft.com​. Rapidly growing inventory-centric businesses need to scale smarter, not harder. DataNinja connects operations to the financials with automated quality controls in a way that helps departments work together instead of bogging each other down. DataQlick provides complete e-commerce to accounting solutions for automating and syncing sales, inventory management and purchasing directly from sales channels into QuickBooks Online. Robust features such as bundles and assemblies, landed costs and color-coded inventory levels makes the daily operation of your business easier with fewer clicks. DiCentral provides turn-key Cloud based B2Bi Managed Services, which allow QuickBooks users to connect and exchange critical business documents with their trading partners. The core components of the Managed Services offering include ERP integration, Secure B2B Communications, Data Transformation, Business Rule Analytics, Inventory Management, and Trading Partner Community Management. 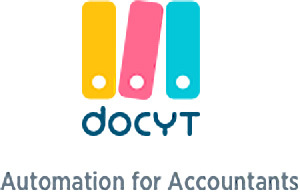 Docyt is the world’s first AI-powered Accounts Payable, Bookkeeping, and Client Communication Platform, built for Accountants and Small Businesses. Manage multiple-entity clients with ease, reduce manual reconciliation, and automate Quickbooks management. Docyt pays for itself by saving hundreds of hours in lost productivity, and thousands of dollars in penalties, late fees, and accounting issues. Earth Class Mail eliminates paper clutter from businesses by transforming mail and other physical documents into digital and actionable files. Our online tools and integrations allow businesses to automate mail management, process checks without trips to the bank, and do away with on or offsite storage costs. Workforce Solutions, a business unit of Equifax, provides insightful human capital solutions for the HR, payroll, tax and compliance needs of today’s employers. The Work Number® database, from Equifax, is the industry leader in automated fulfillment of employment and income verifications on behalf of employers for their employees’ loans, credit and government benefits. Equifax empowers businesses and consumers with information they can trust. A global leader in information solutions, we leverage one of the largest sources of consumer and commercial data, along with advanced analytics and proprietary technology, to create customized insights that enrich both the performance of businesses and the lives of consumers. Expensify is the top-rated expense management app in the QuickBooks App Store and the only expense management partner of the AICPA. Built for accountants, bookkeepers, and small businesses, Expensify automates everything from receipt tracking to reconciliation and reimbursement. Learn more about Expensify and our industry-leading QuickBooks integration at use.expensify.com/quickbooks! 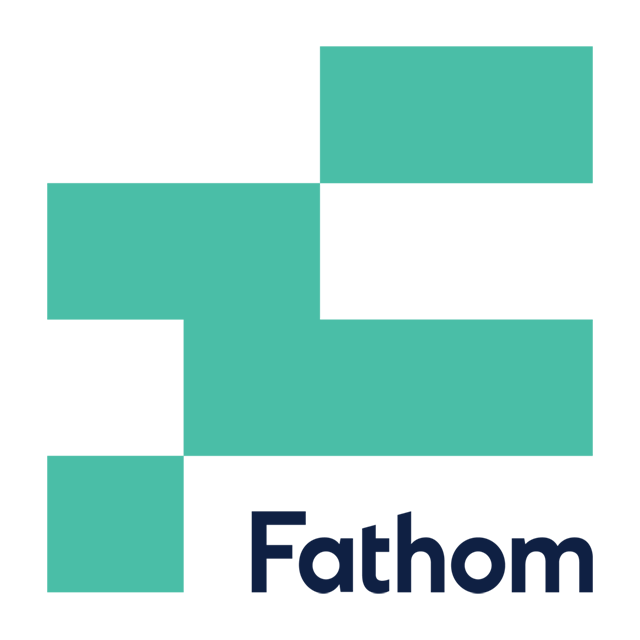 Fathom transforms accounting data into accounting intelligence, providing reports and insights to help your clients thrive. This popular app has all the tools you need to assess performance, monitor trends and identify improvement opportunities. Fathom is ideal for all business sizes and industries, including franchises and multi-entity organizations. Powerful reporting and analysis starts here. Fishbowl is the #1 selling manufacturing and warehouse management software for QuickBooks. 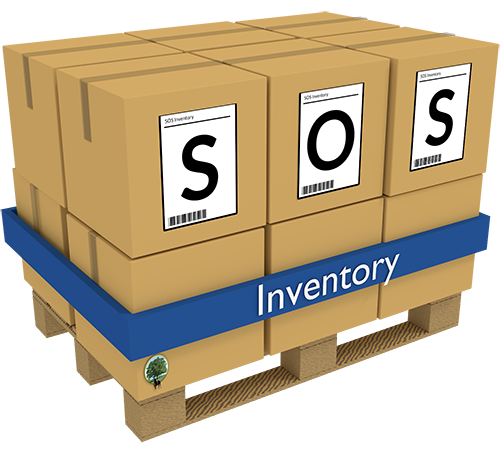 It helps SMBs stay with QuickBooks longer by giving them the advanced inventory management features they need. In addition, Fishbowl offers a cloud-based solution called Boxstorm, including a Forever Free version that integrates with QuickBooks Online. Float helps you build a cash flow forecast you can trust. It automatically imports your actuals from QuickBooks Online, helping you track progress towards targets. It offers reporting, scenario planning and invoice and bill tracking, making it one of the easiest and fastest ways to visualize the future of your cash. Fundbox is a technology company bringing new financial power to small businesses by simplifying how they pay and get paid. Fundbox uses machine learning technology, data science, and common sense to offer small businesses greater access to financial solutions that are intuitive, fast, and transparent. Funding Circle has helped thousands of established businesses in the U.S. grow, create new jobs, and stimulate economic growth in their local communities with term loans starting at 4.99%. Choose fast, affordable business financing and get a decision in as little as 24 hours after document submission. Say hello to your new transaction feed. 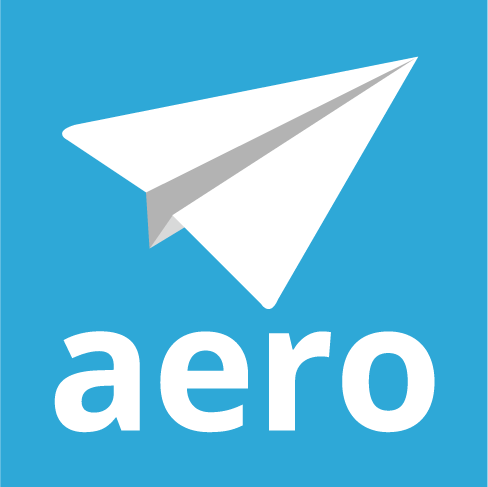 Automatically fetch itemized receipts directly from top merchants and platforms. Skip the photos, scanning, and typing. No OCR. Connect directly to Amazon, Best Buy, Delta, eBay, Etsy, Home Depot, Lowes, Lyft, Menards, NewEgg, Office Depot, Staples, Uber, Walmart, and more. Guideline 401(k) makes it easy for accountants to help their clients offer an affordable retirement plan. We onboard employees, integrate with popular payroll software, and handle compliance, reporting, and fiduciary duties. Your clients pay $8 per participant each month – and we have the lowest employee fees in the industry. With its expert support and easy-to-use technology, Gusto for Partners is a free program that allows accounting professionals to offer payroll, HR, and benefits to their small business clients and future proof their business. Infor F9 is a powerful financial reporting and analysis solution that provides speed, flexibility, and ease of use to more than 30,000 customers worldwide compatible with 150+ general ledgers. Dynamically link your GL data to Excel and receive a real-time view of business information with just the push of a button. For more information visit f9.com. 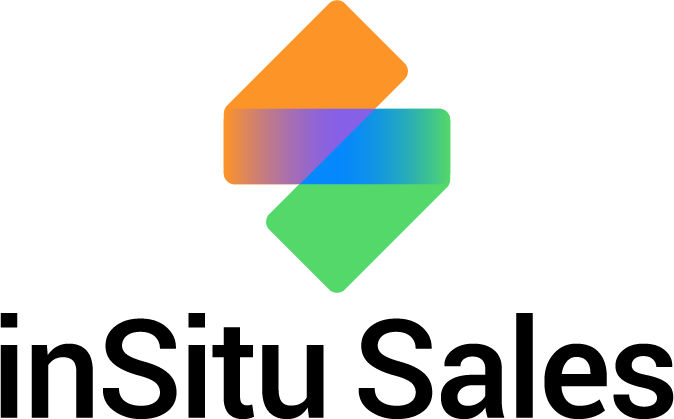 inSitu Sales is an all-in-one mobile solution for field sales, consumer products distribution and B2B e-commerce. The app and e-commerce portal offers mobile invoicing, estimate and sales order creation, secure mobile payment processing, digital product catalog, GPS sales route creation and tracking, territory management, data analytics and integration with QuickbooksⓇ. Jirav delivers smarter financials and faster insights. The platform’s powerful calculation & modeling engine automatically combines your business data, resulting in one place where you can easily visualize, analyze and forecast your company’s progress across all of your teams. 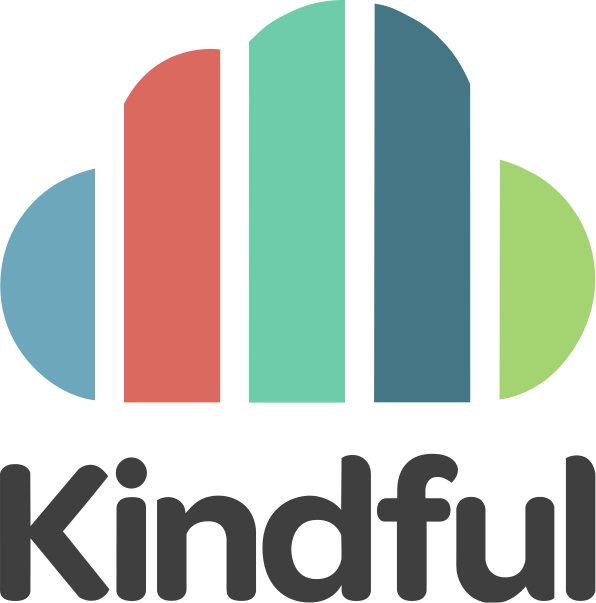 Kindful is an easy to use donor management platform for nonprofit organizations that integrates with Quickbooks online and desktop. Knowify is a cloud-based job management software for construction contractors. Using Knowify, contractors can get accurate job cost reporting on labor, materials, and subcontractors in real-time. Knowify also offers an in-depth integration with QuickBooks so contractors do not need to double-enter any of their data. Knowify is the best all-in-one solution for contractors looking to grow their business and operate more professionally. LeanLaw is law firm timekeeping & billing software. Most law firms don’t need bloated practice management tools. They need highly efficient billing workflows deeply connected to the #1 accounting tool: Quickbooks Online. LeanLaw is unique because we’ve re-imagined the legal (and professional services) timekeeping & billing workflow the way it should be. 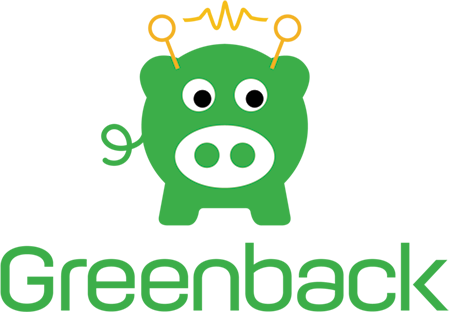 Little Green Light is a complete fundraising and donor management software that helps you to simplify your fundraising tasks and grow your donor relationships. Our affordable, cloud-based software integrates with tools you already use, and lets you manage your data all in one place, accessible from anywhere. LivePlan is intuitive business planning and management software. Integrated with QBO, LivePlan is a system for accountants to offer scalable client advisory services, as well as a robust solution for small business owners who want to plan, track and manage their business. 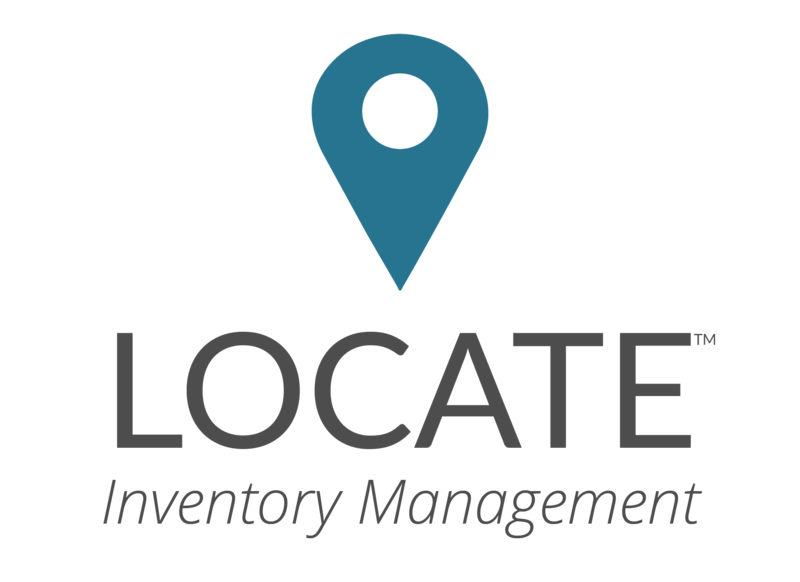 LOCATE is a scalable, cloud-based inventory management solution designed to help growing businesses succeed in the QuickBooks ecosystem. LOCATE’s ERP-level features and dynamic workflows bring efficiency and productivity to larger companies, while summarized accounting keeps QuickBooks (Online and Enterprise) running lean and clean. 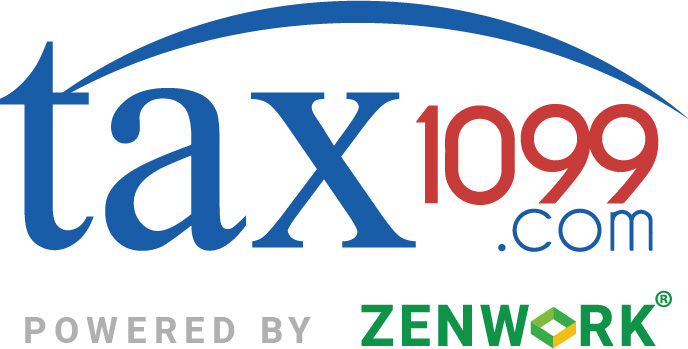 LumaTax completely automates sales tax compliance – preparing and filing returns, and remitting payments – by connecting directly to your QuickBooks Online account. With LumaTax, you never have to worry about filing another return, paying another late penalty, or dealing with the dreaded sales tax audit again. Method:CRM is a customer management platform that empowers businesses to thrive by streamlining operations and growing sales. Unlike other CRMs, Method’s two-way, real-time sync with both desktop and online versions of QuickBooks consolidates contacts, leads and financial history, providing a complete 360° view of every customer and lead. MineralTree provides the easiest to use Accounts Payable (AP) and Payment Automation solutions for finance professionals. MineralTree streamlines AP, giving customers unparalleled visibility and significant cost savings in an affordable, integrated platform that is guaranteed secure. For more information visit mineraltree.com. Software designed specifically for small to medium size manufacturers that are looking for a Best of Breed manufacturing add-on for QuickBooks Online and Desktop. Provides low cost of ownership & flexibility in a modular design, with Inventory control, Purchasing, Production, Material Requirements Planning (MRP), Serial Lot Tracking, Bar-coding, Shop Floor Control and more. Automated analytics, dashboards and reports for both Desktop and Online. Manage and monitor all your clients in one single overview to easily identify their specific challenges so you can help them optimize processes, revenue and profit. Get instant business value with automated reports within: Financial Health, Consolidation, Benchmark, Fraud, DQ, Bank, Exit, Profit/Loss, Balance Sheet and many more. Prices starting at $10 a month per client. 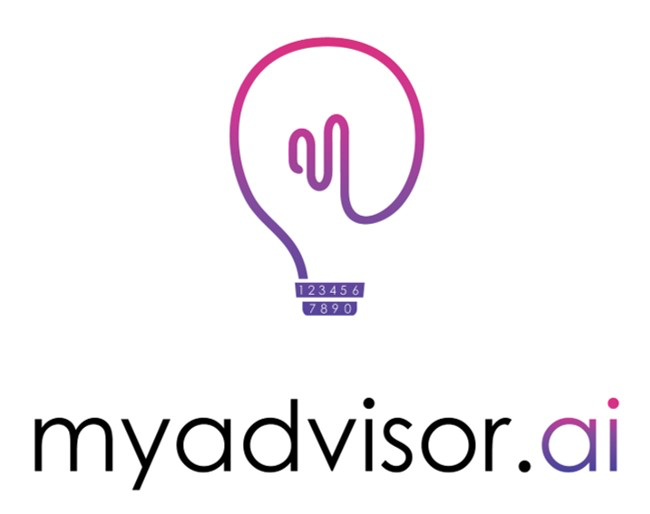 Use myadvisor’s beautiful management reports to enable you to have rich and insightful advisory conversations with your clients. myadvisor uses AI to instantly convert QuickBooks numbers into sentences written with the expertise of a human. You can create a report in seconds which would otherwise take hours to craft. Neat provides a SaaS bookkeeping automation solution that improves the productivity of small businesses and facilitates the interaction and integration between accounting/bookkeeping firms and their clients. The solution is designed to automate manual tasks such as expense intake and integrates with QuickBooks and other accounting systems. 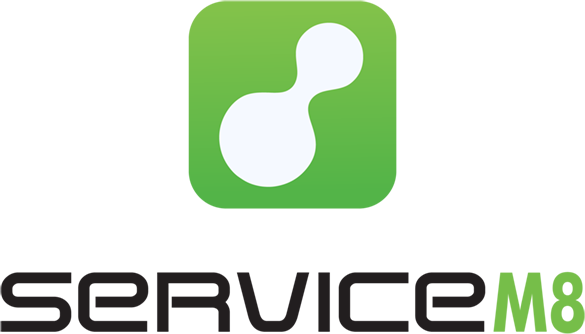 NumberCruncher, a QuickBooks Gold partner, is a leading provider of inventory & order management software for the QuickBooks community. Thousands of manufacturers and wholesale distributors rely on NumberCruncher solutions to manage their everyday business activities across the globe. Our newest cloud-based platform, Order Time, provides powerful control over orders, customers, and inventory. Growing businesses (and accounting pros) love OnPay for payroll, HR and benefits. Easily pay employees by direct deposit, automate tax payments and filings, and get OnPay’s guarantee that filings will be error-free. 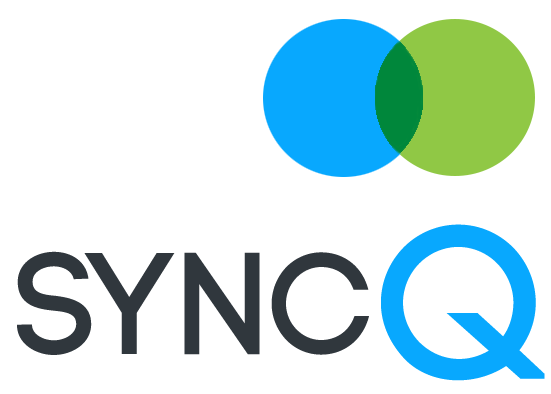 Best of all, we sync seamlessly with QuickBooks Online and Desktop. Learn more at onpay.com. Outpost lets your team manage email inboxes like info@ and sales@—without stepping on each other’s toes. With Outpost, you’ll avoid sending duplicate responses or letting emails fall through the cracks. Your team will regain control of email and feel less stressed. And, most importantly, your customers will be happier. Patriot Software offers online payroll to save small businesses time and money. Pay your employees easily in 3-simple steps and automatically sync your payroll data with your QuickBooks Online account. We offer free payroll setup, direct deposit, and US-based support. 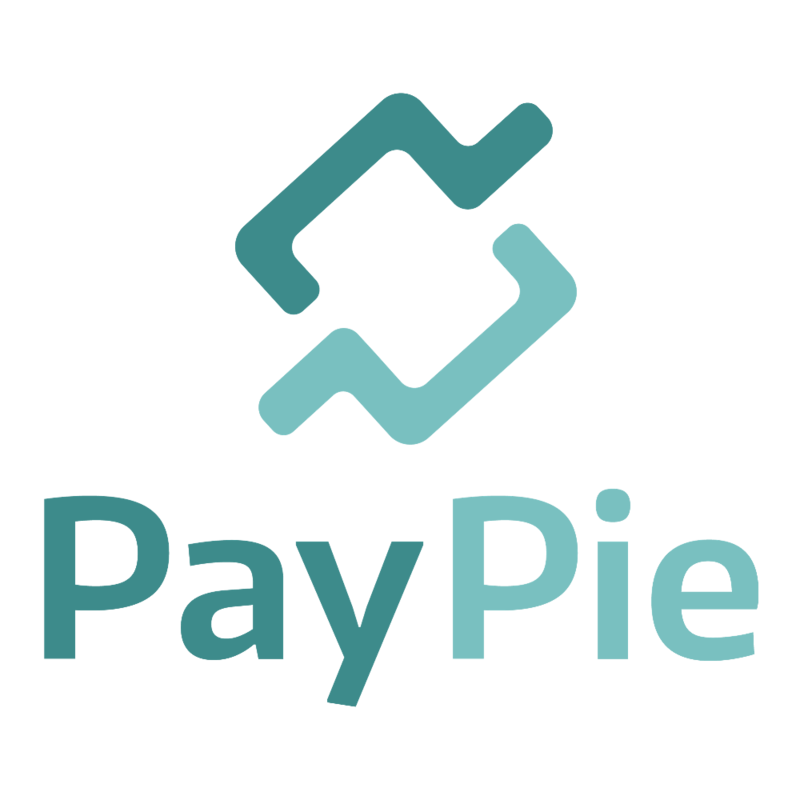 PayPie provides intuitive cash flow forecasting and financial reporting insights for small and medium-sized businesses to improve their financial health. The platform empowers accountants and financial advisors with easy-to-use cash flow tools and visual financial insights to better help businesses achieve a long-lasting positive financial health. Plooto is an all-in-one integrated online payment platform for businesses to send and collect payments for their payables and receivables. Plooto is built specifically for financial controllers in small and medium sized businesses, as well as accountant or bookkeepers with multiple clients. Plooto’s integration with QuickBooks automatically syncs your bills and invoices, and automatically reconciles your records once paid. Send professional proposals faster and onboard clients with a single signature. Get paid on time, every time by collecting payments automatically on your schedule. Improve your workflow and boost productivity by integrating your apps and Forecast cashflow, payments and sales from your accepted contract data. Q Hero is an elite accounting software conversion service organization. We help firms and businesses convert from their existing accounting software program to their new preferred accounting software platform. Such as converting from Xero to QuickBooks Online. We converted hundreds of files over the past four years. Our sophisticated team is ready to help you! 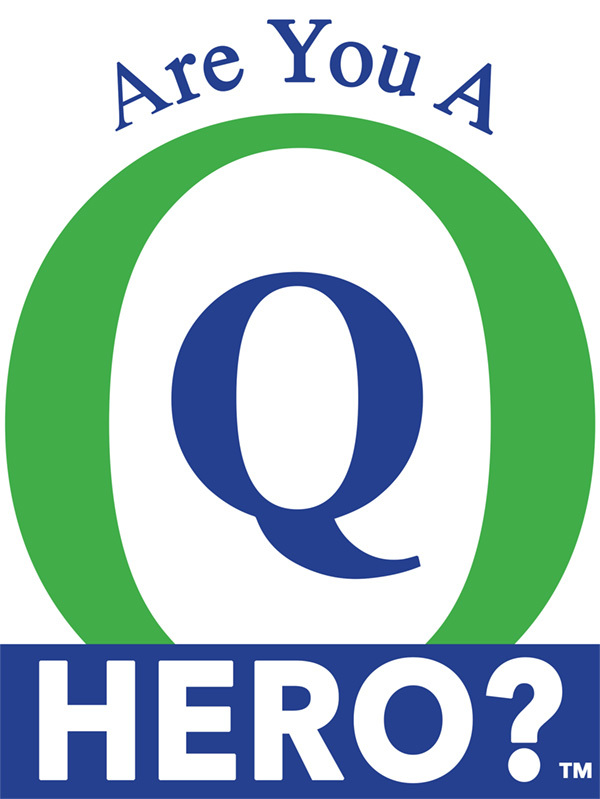 visit us at QBOHero.com. Qbox is one of the fastest growing QuickBooks Desktop sync/collaboration tools used by a large number of Accountants/Bookkeepers/Pro Advisors around the world. 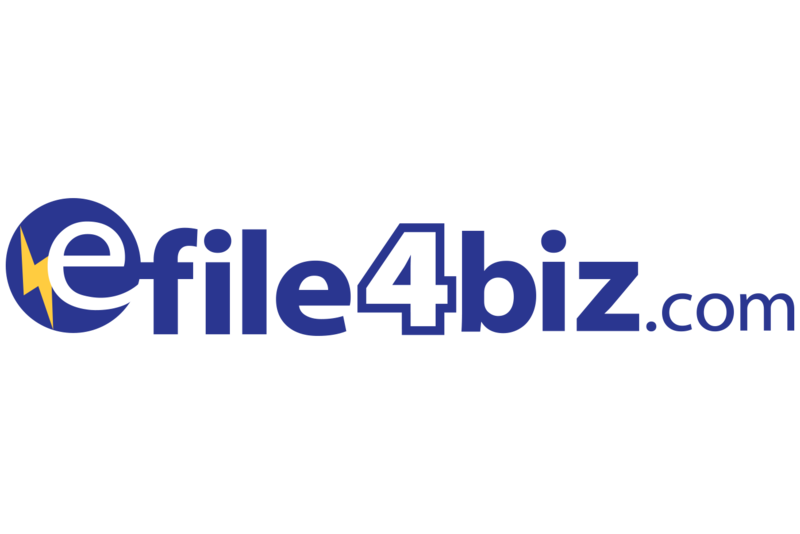 It is a very simple, secure and cost effective way to share your file(s)/updates with any number of remote shared users. Qvinci is the leader in automated financial data consolidation, reporting, BI and workflow management solutions for accountants that use QuickBooks®. By automating the gathering, syncing, and mapping of disparate financial data, Qvinci delivers advanced reporting and actionable data needed to monitor and compare the performance of single and multi-unit organizations. Ricoh is $20B company with Global presence in Copier / Multi-Function Printer products, other office related equipment such as Interactive WhiteBoard, Digital Camera and many other product groups. Ricoh USA would like to showcase its brand new solution called Smart Integration, that includes Cloud services such as Ricoh APS, accounts payable solutions for small and medium business. It recognize / capture the data on invoice image and route such captured data into Both QuickBooks online and QuickBooks desktop. It helps customers reducing the time taken for invoice processing, and allow them to focus on other important things. Rootworks is redefining the model for the Modern Accounting Firm. We test and vet best-of-breed apps in our working firm to give you confidence at a time when everything is changing and your choices matter more than ever. We proudly count 500+ member firms in our community of motivated, progressive accounting practitioners who are creating today’s finest client experience. Inventory, order management, and manufacturing for QuickBooks Online. Salesforce Essentials makes it possible for every small business to tap into the power of the world’s #1 CRM platform, with apps for sales and service that are easy to use, set up, and maintain. Salesforce Essentials is backed by the power of Trailhead, Einstein AI, Lightning, and AppExchange. In addition, small businesses don’t have to worry about outgrowing their CRM—they can upgrade quickly and easily. Second Phase is a SAAS provider of B2B/B2C eCommerce & PIM Solutions for Wholesale Distributors & Manufacturers that use Quickbooks Enterprise. Leverage Second Phase’s 15 years of experience exclusively servicing the unique needs of Wholesale Distribution or Manufacturing business’s like yours based on our proprietary business to business technology. Seqnc provides cloud software for companies to create a financial plan/model online to raise capital and manage their business. Customers use our software to project P&L and other financial statements, capital requirements, and operating metrics. The product is spreadsheet-friendly, combines financial and SaaS metrics projections, and integrates with QuickBooks Online. ServiceM8 is a job management app for contractors & home services like electricians, plumbers, locksmiths & cleaners. With powerful scheduling, client communication, quotes, job documentation & photos, ServiceM8 frees service businesses from paperwork to run a more productive, professional operation. From there, integration with QuickBooks Online forms an end-to-end package for field services. ShopVOX is a comprehensive web-based, easy to use solution for custom fabricators. We currently serve industries like signage, screen printing/embroidery, custom cabinetry , awards & engraving, digital printing, and any other custom shop to manage their business from first phone call to invoicing and syncing to Quick Books. simPRO business management software helps organize and automate processes to maximize profitability — for service, project and maintenance contractors. simPRO seamlessly integrates with Quickbooks. Quickly send your customer, contractor and supplier invoices and information from simPRO directly to QuickBooks without any need for manual data entry saving you time and effort. SmartVault makes it easy to collect, manage, and share your firm and client documents with a single, integrated document management and client portal solution. Built from the ground-up for accountants, SmartVault helps speed up and simplify your workflow with anytime, anywhere access to documents. Start your free 30-day trial at www.smartvault.com/accountants. Our Spotlight Reporting family of business intelligence tools is designed to provide accountants, advisors and business owners with a great range of reporting options that save time and effort while delivering clarity for better decision-making. We import financial and non-financial data to automatically create powerful reports, performance dashboards, cash-flow forecasts and multi-entity reporting. SPS Commerce perfects the power of trading partner relationships with the industry’s most broadly adopted, retail cloud services platform. As a leader in cloud-based supply chain management solutions, we provide proven integrations and comprehensive retail performance analytics to thousands of customers worldwide. SPS Commerce has achieved 69 consecutive quarters of revenue growth and is headquartered in Minneapolis. For additional information, please contact SPS Commerce at 866-245-8100 or visit www.spscommerce.com. Square Payroll is the online payroll service trusted by small businesses. We pay your team (W2 employees, 1099 contractors, or both) and handle payroll tax filings and payments. Import timecards from Square POS or other leading software providers. Seamless integration with QuickBooks Online. Only $29/month + $5/per person paid. TimeRewards is an advanced Time Tracking, Expenses, and Invoicing app that works with QuickBooks. Built for those who value their time! With effortless time entry and automatic email reminders, this app takes all the grunt work out of payroll and invoicing. Tipalti helps finance become cost-neutral with a multi-entity payables solution that reduces the supplier payments workflow by 80%. Trusted by Amazon, Houzz, Roku, Twitter, and hundreds of other companies, Tipalti includes a supplier portal, touchless invoice processing, PO matching, tax compliance, global remittance, early payments, and payment reconciliation. TrueCommerce is the most complete way to connect your business across the supply chain, integrating everything from EDI, to inventory management, to fulfillment, to digital storefronts and marketplaces, to your business system, and to whatever comes next. To stay ahead in today’s dynamic global market, companies need to be able to do business in a lot of different directions at once. TrueCommerce has helped businesses be more connected, more supported, and more prepared for what’s next. That’s why thousands of companies – ranging from start-ups to the global Fortune 100, across various industries – rely on us. TrueCommerce. Do business in every direction. TSheets by QuickBooks is mobile, cloud-based time tracking and scheduling software employees love! Thousands of customers in over 100 countries trust TSheets to provide real-time, valuable business insight – and 500,000+ employees around the world rely on TSheets to track accurate-to-the-second time for payroll. TSheets is proudly owned by Intuit and powered by QuickBooks for easy and accurate payroll, billing, and invoicing. Together, TSheets and Intuit provide smarter business solutions to the world’s hardest workers. V-Technologies is a leading provider of integrated shipping software solutions. Our niche is integration – providing the link between ERP, accounting and business applications and the warehouse resulting in faster, more efficient, shipment processing as well as front office visibility. We have formed strategic partnerships with carriers such as UPS and FedEx and ERP and accounting software vendors such as Intuit. Veem is a modern payments solution for business-to-business payments. On Veem, businesses connect with their vendors, track and reconcile their payments in real-time with end-to-end payment support to resolve issues along the way. Veem also integrates with QuickBooks Online to eliminate double entry and automate reconciliation. Zenwork creates cloud-based, award-winning compliance solutions for information returns, payroll and ACA forms, & more. You know us as Tax1099, eFile Assist, and EZ2290. Now, we’re introducing Human Capital Management and Practice Management applications. Join us at QuickBooks Connect to learn how we can reduce your compliance stress. Zoho offers smart software to help you grow your business. With over 35 million users worldwide, Zoho’s 40+ applications support your business’ finance, sales and marketing, customer support and collaboration, and more – letting you focus on your business. With the advent of Zoho One, a single subscription to all of Zoho, we’re bringing enterprise level solutions to small business affordability.